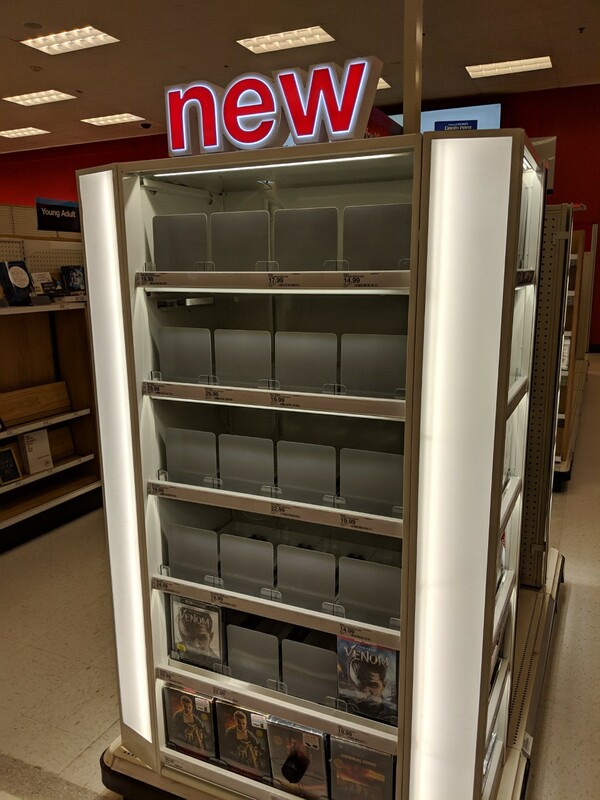 One whole department is cleared out at the Target store in Rockville, and other shelves are bare or sparsely-stocked. 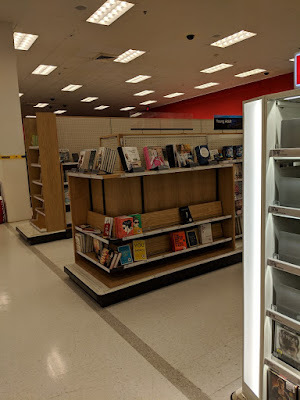 While these signs often precede yet another business closure in moribund Montgomery County, that's not the case here. 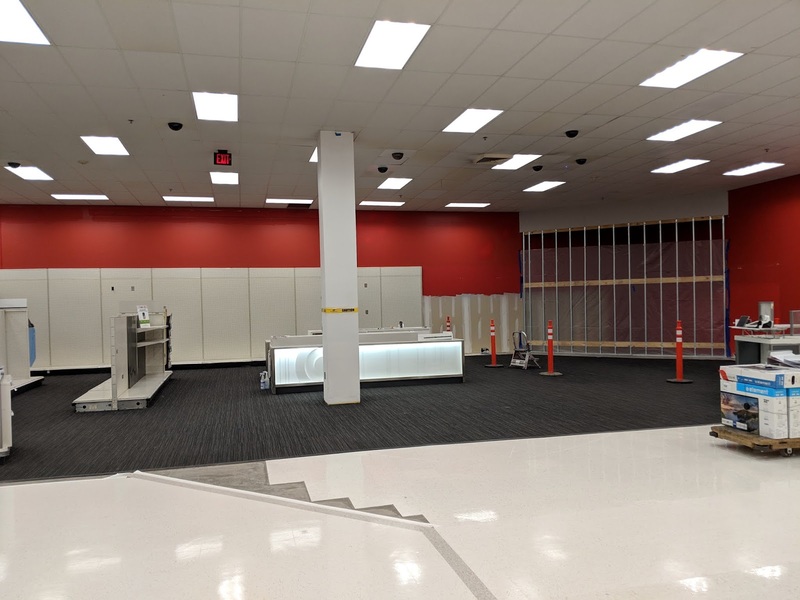 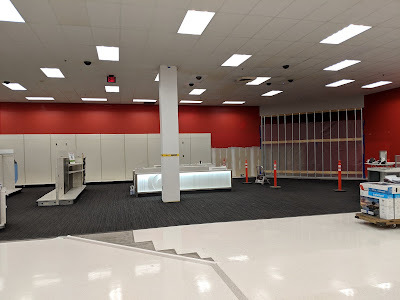 Target is updating its electronics and entertainment departments. 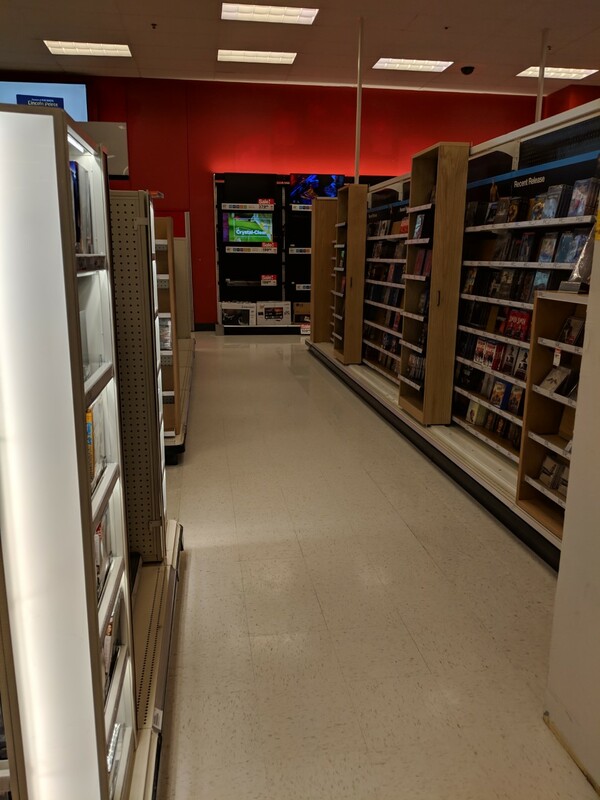 The amount of floor space dedicated to physical media like music CDs, movies and video games is being reduced. 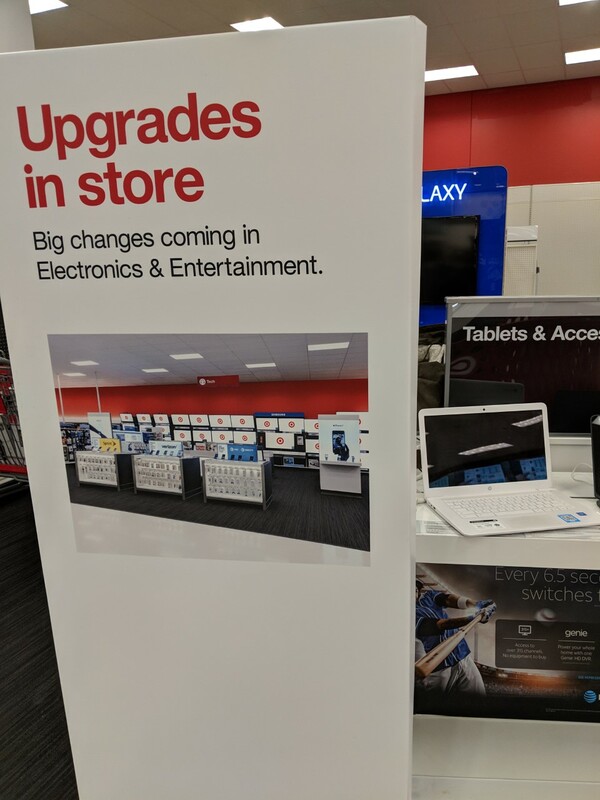 However, the changes are described by Target as "upgrades." One thing they could definitely upgrade is their weak magazine section.